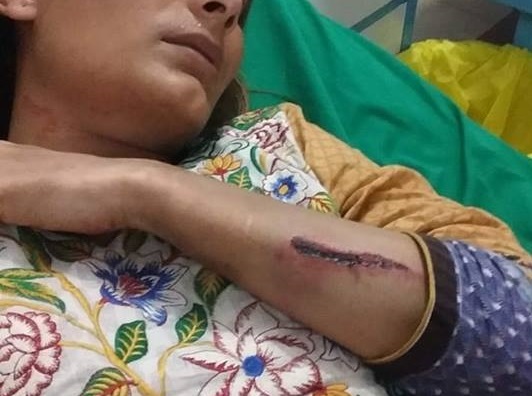 A transgender person has allegedly been subjected to severe torture by unidentified accused in the Arifwala Tehsil of Pakpattan district. The incident reportedly took place within the jurisdiction of the Saddar Police Station on Monday night. A video making rounds over the internet showed another transgender person crying while protesting against the horrific abuse her friend was subjected to. She claimed that her friend, after the assault, was thrown by the side of a road. The person in the video also alleged that the police were not registering their complaint and instead had asked them to leave the police station. The video was followed by a couple of pictures showing the bruised body of the victim.